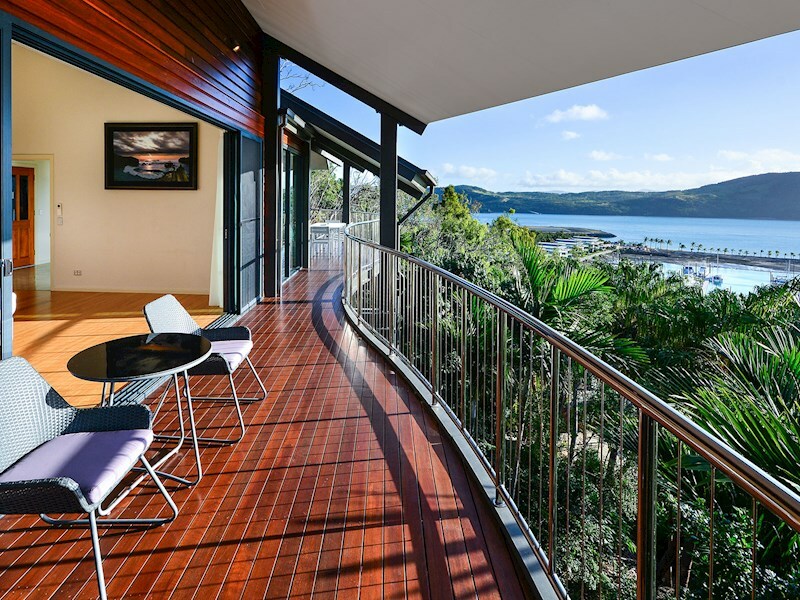 Architect-designed home with spectacular views. 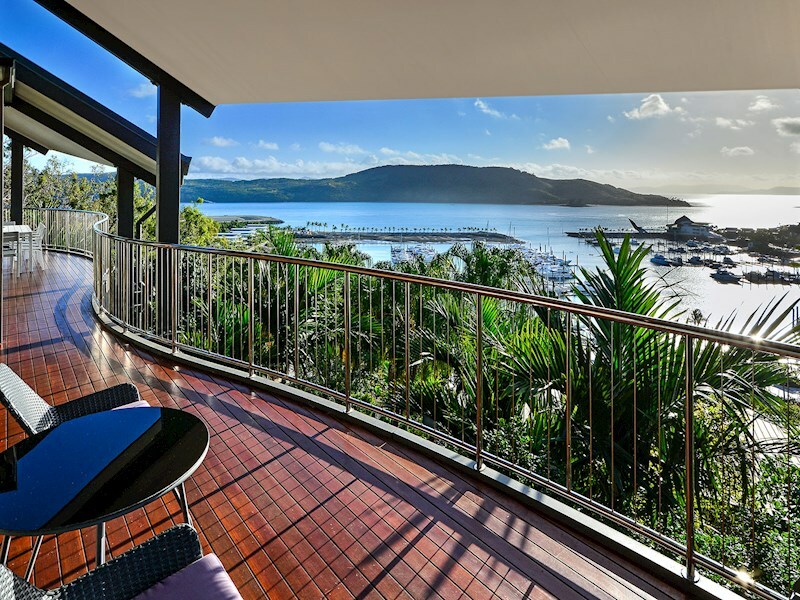 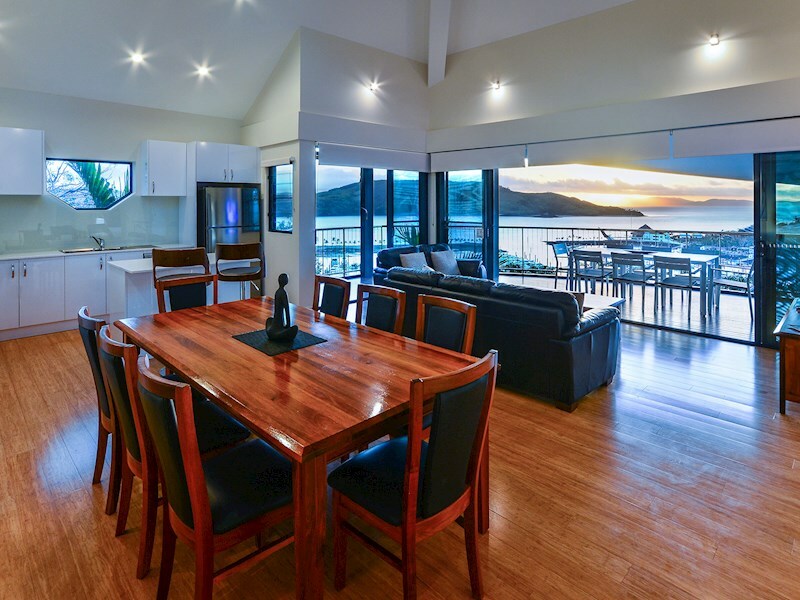 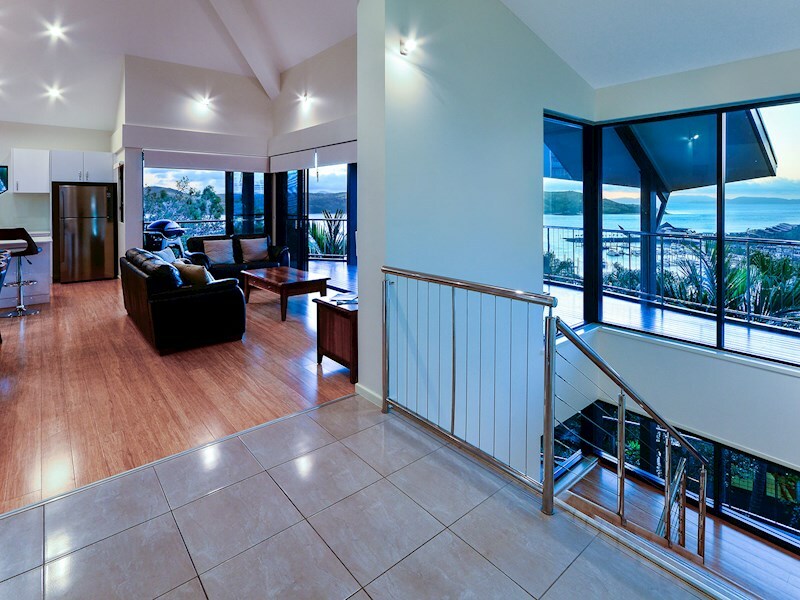 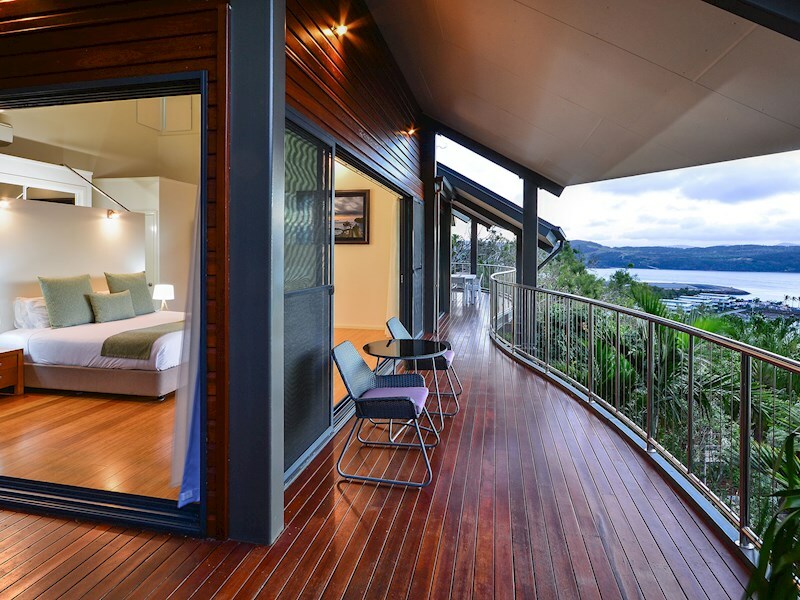 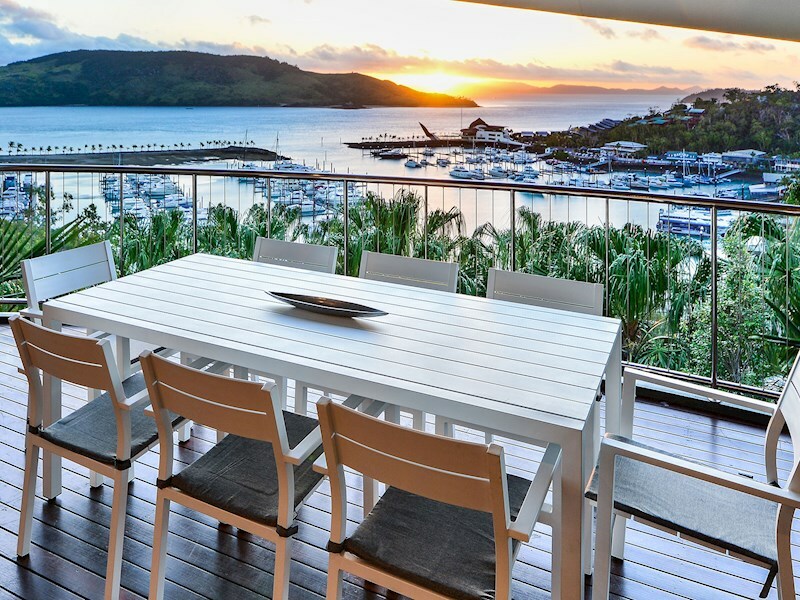 Spacious and stylish, this three level designer home offers unrestricted views over the Hamilton Island Marina, across to Dent Island. 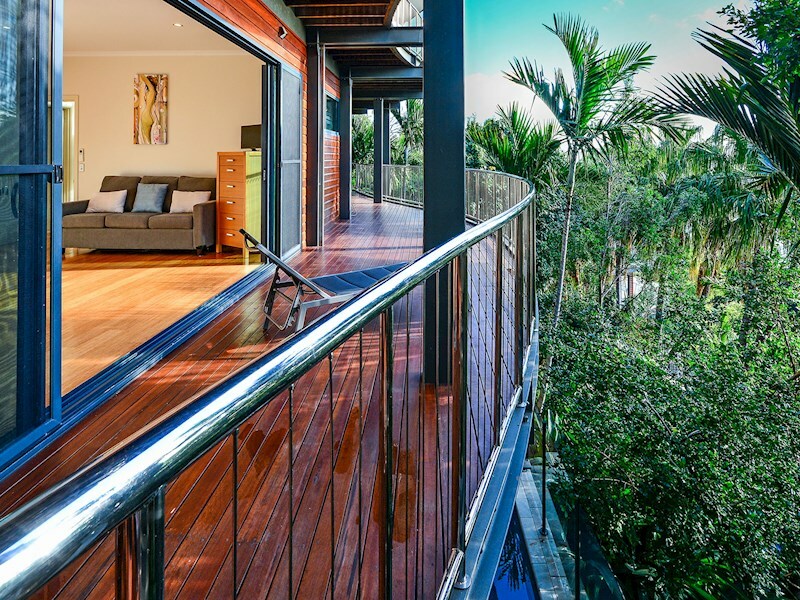 With high ceilings, three spacious rooms, a private plunge room and two buggies, it's one of the island's most stand-out luxury homes. 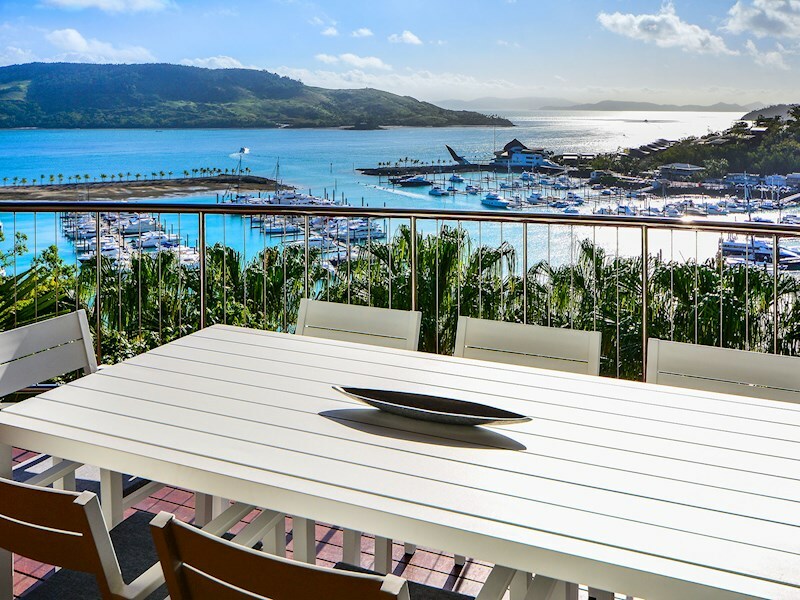 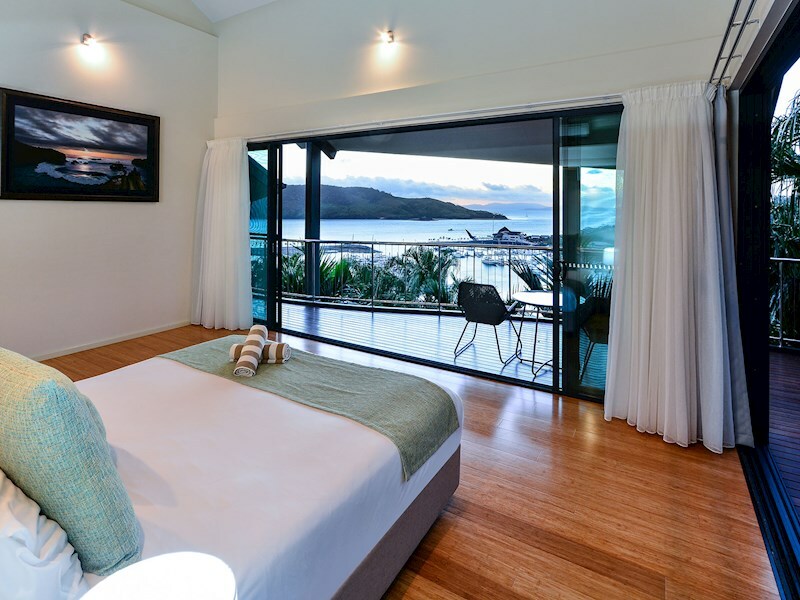 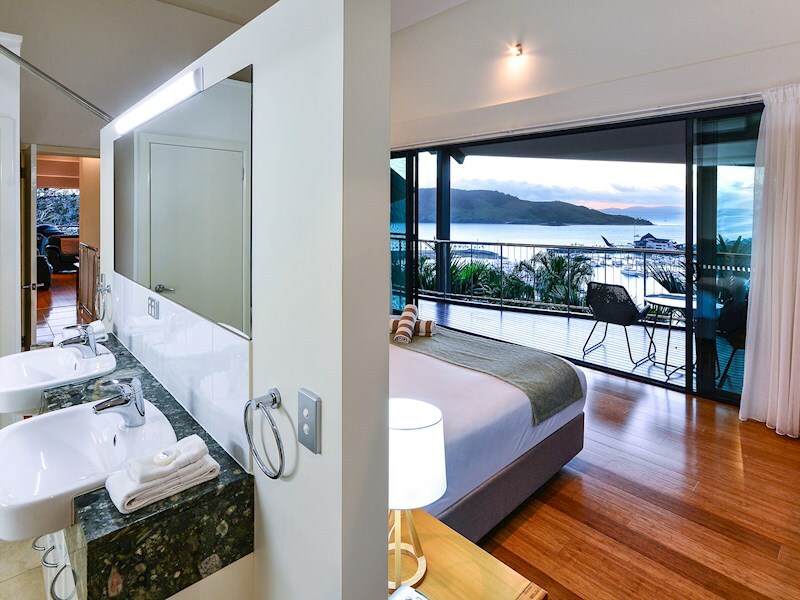 Enjoy 180-degree views of Dent Island, the Hamilton Island Marina, Front Street and the aqua waters of the Whitsundays. 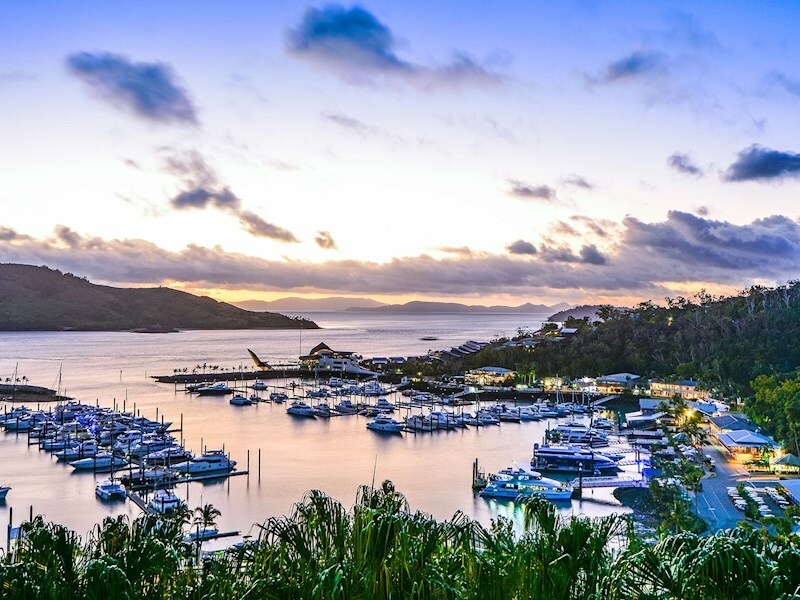 Even the night view of all the lights on Front Street will take your breath away. 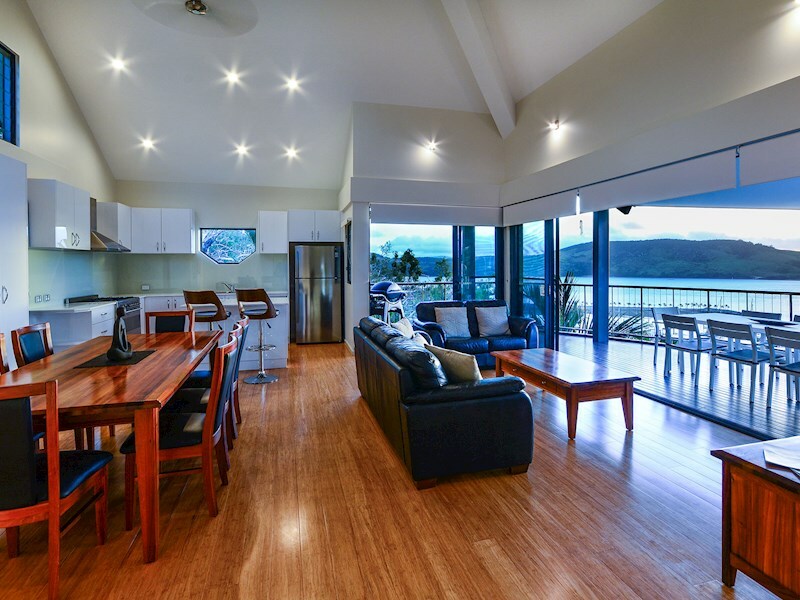 This large home has all the facilities a family needs for a luxurious getaway. 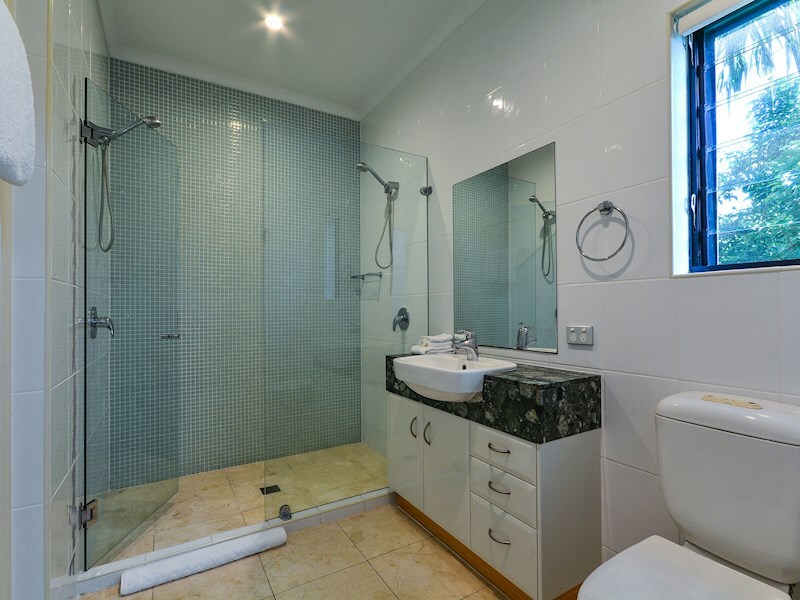 As all the bedrooms have their own private bathrooms, this home would also suit groups. 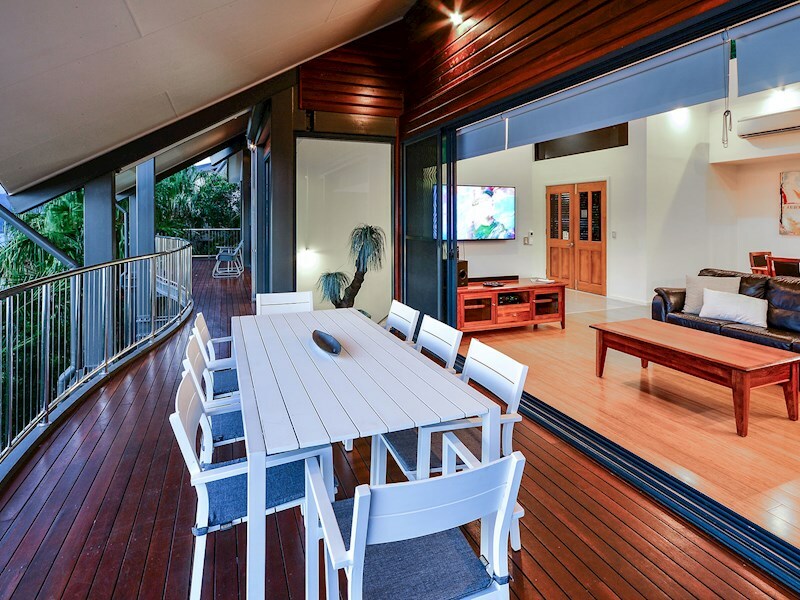 The house has a vast outdoor entertaining area with sun lounges, huge BBQ, and seating for eight people. 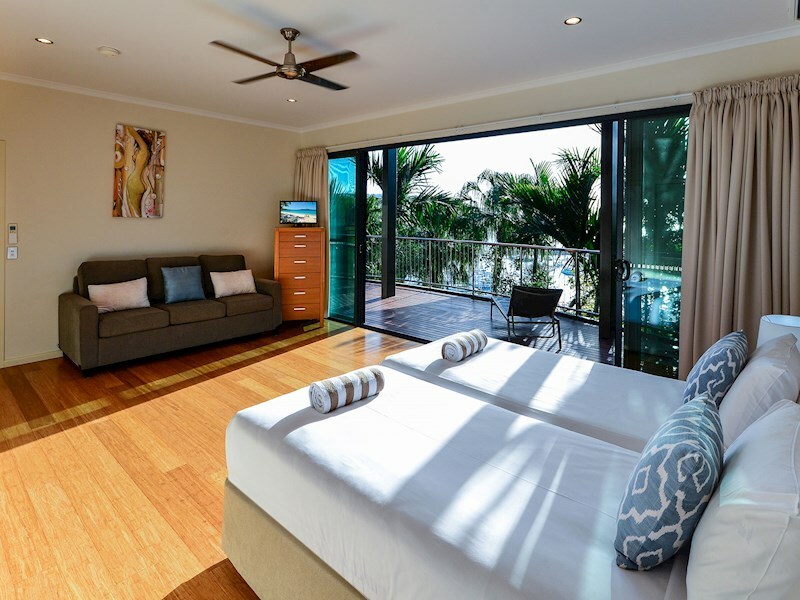 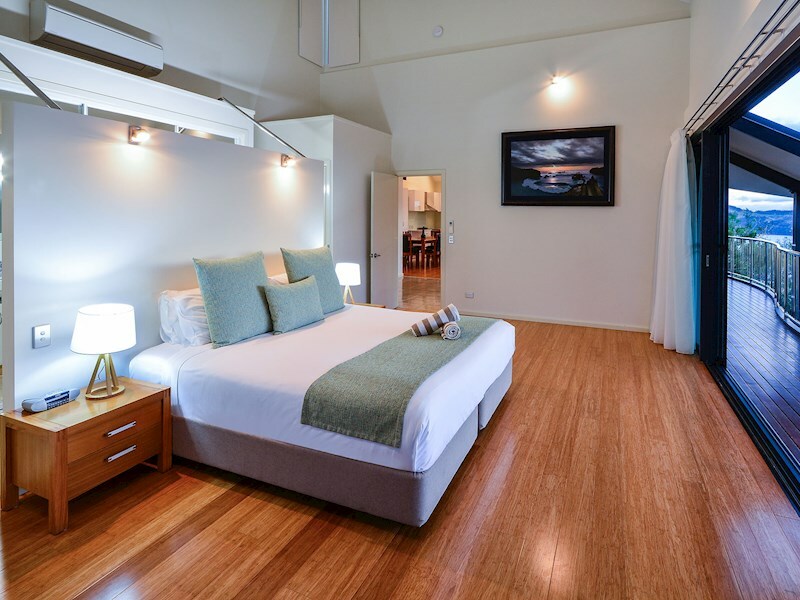 The huge bedrooms all feature large balconies, quality bedding, air-conditioning and private bathroom facilities. 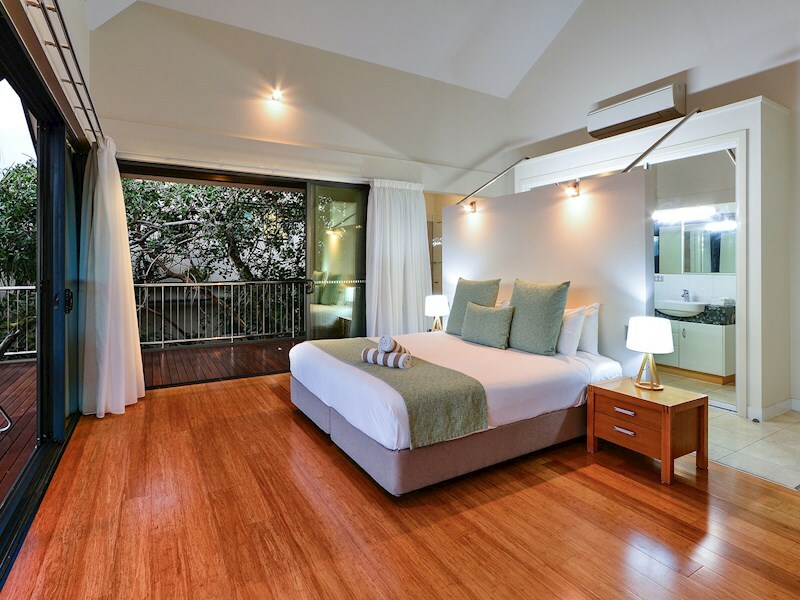 The master has a king bed, and the second and third bedrooms each have a split king bed as well as a queen sofa bed. 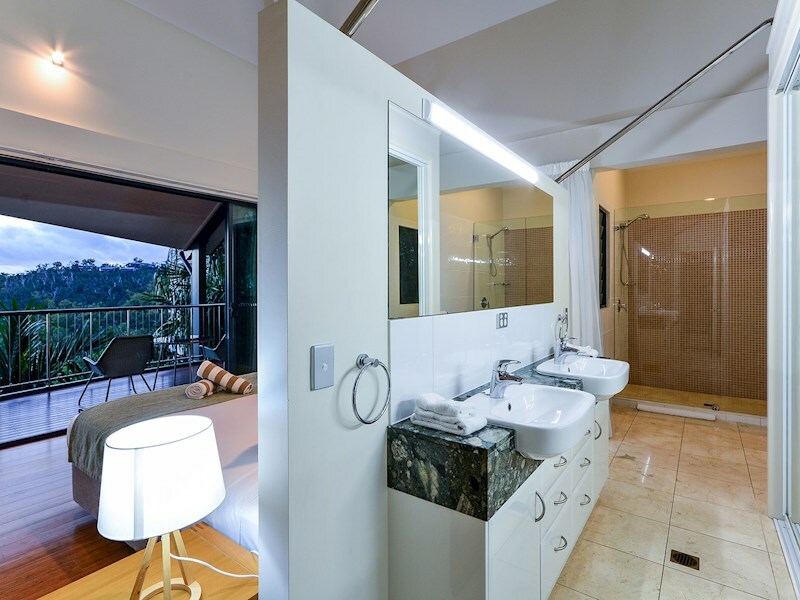 Take a dip in your private, undercover plunge pool and enjoy the peace and tranquillity of having your own space. 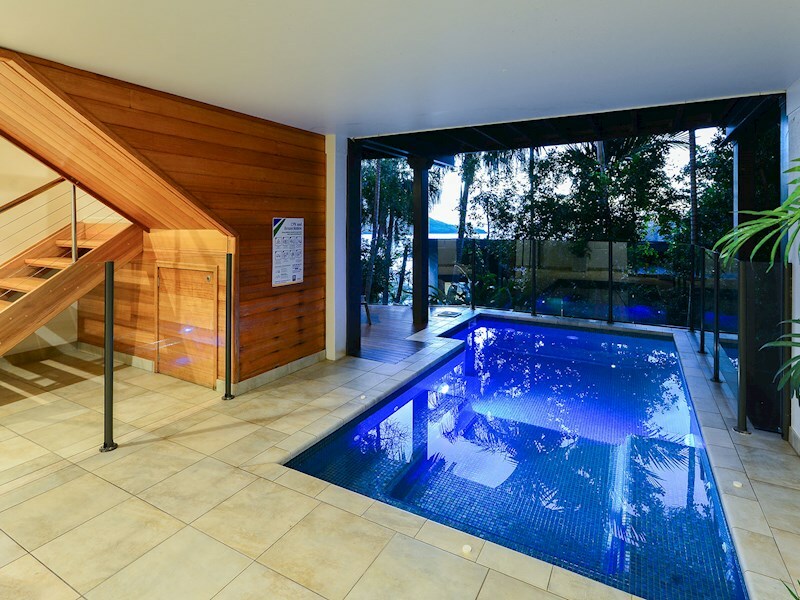 The pool also has an outdoor shower. 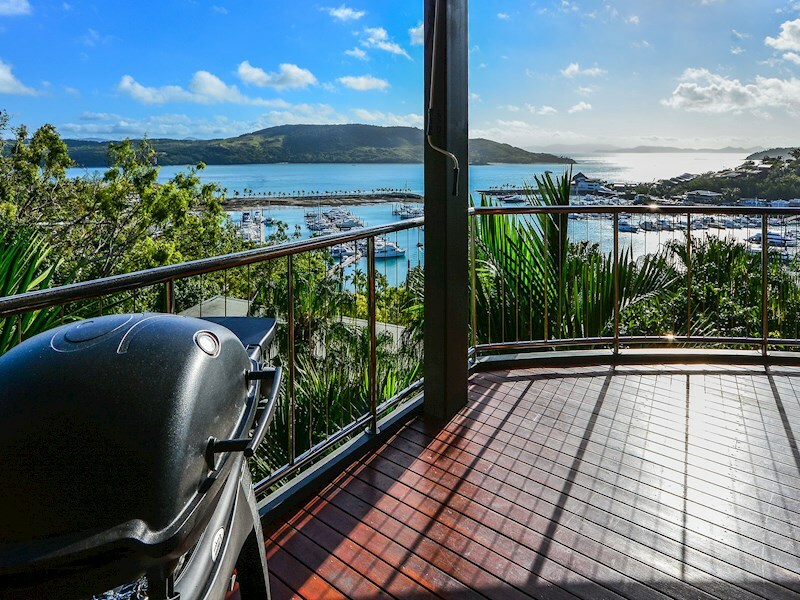 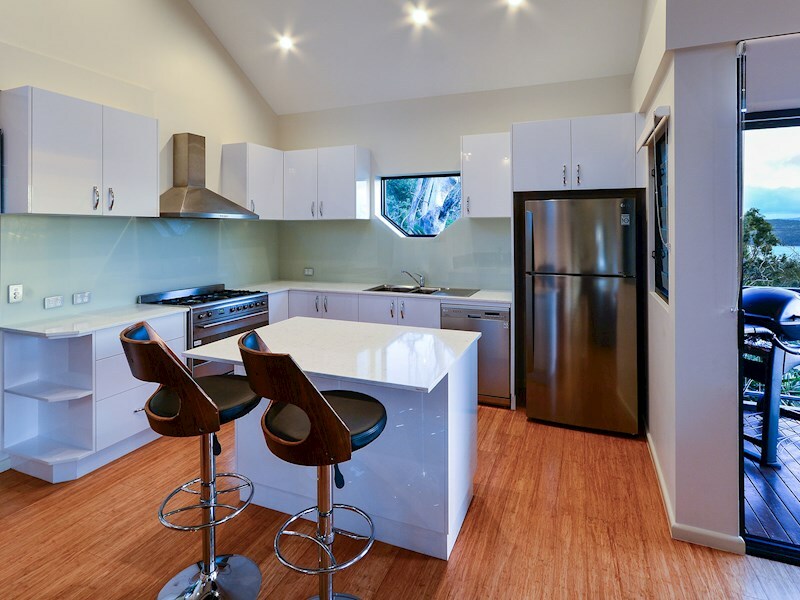 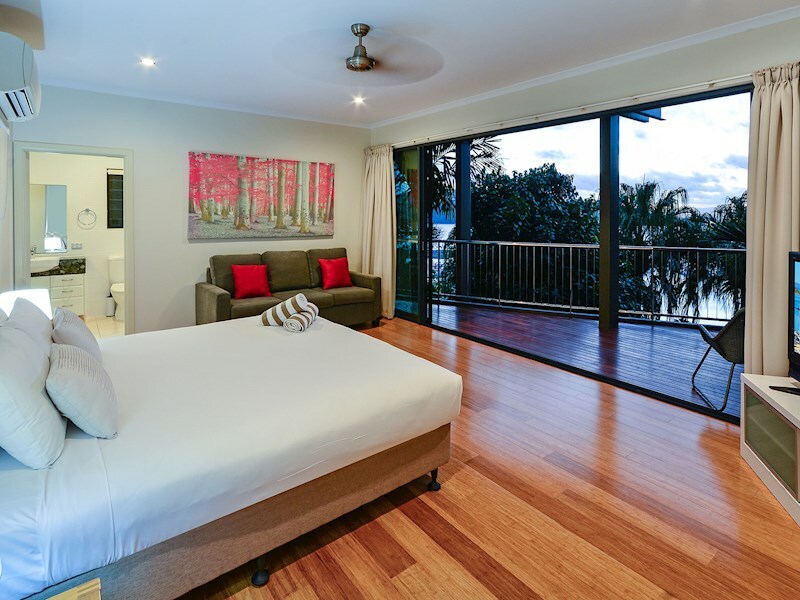 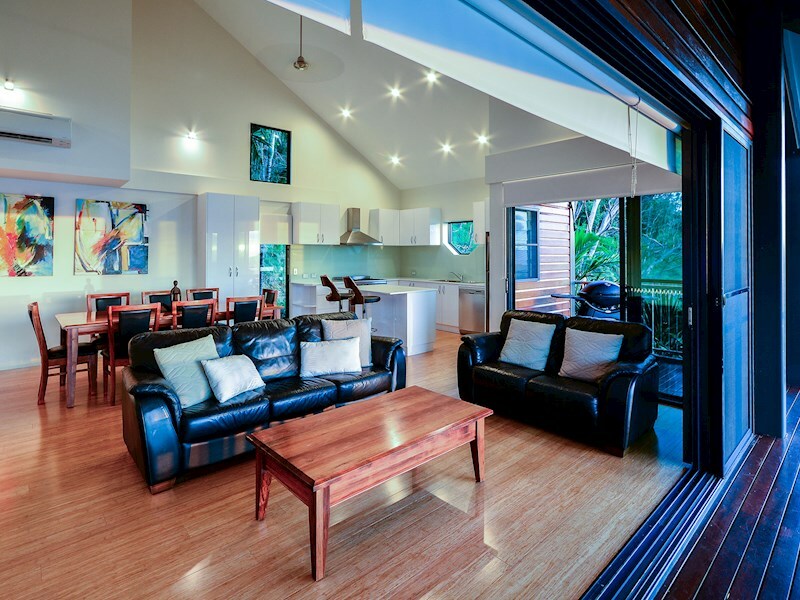 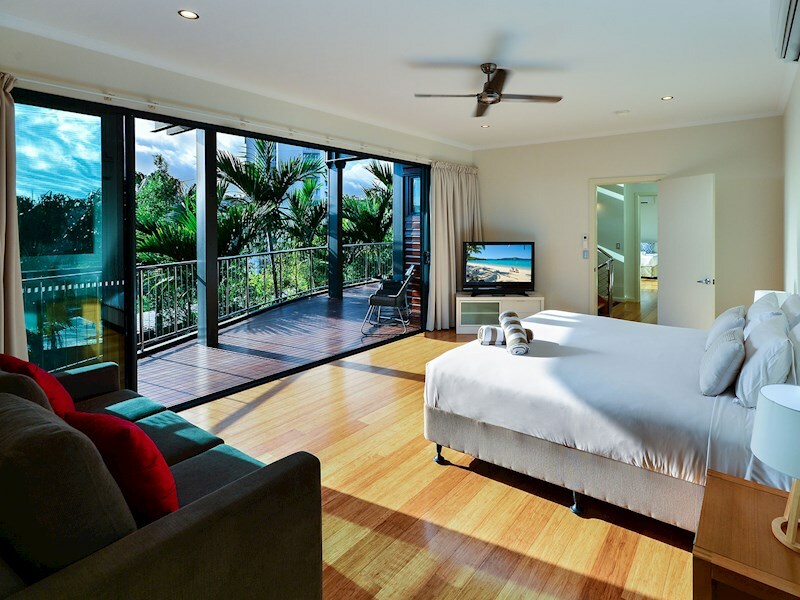 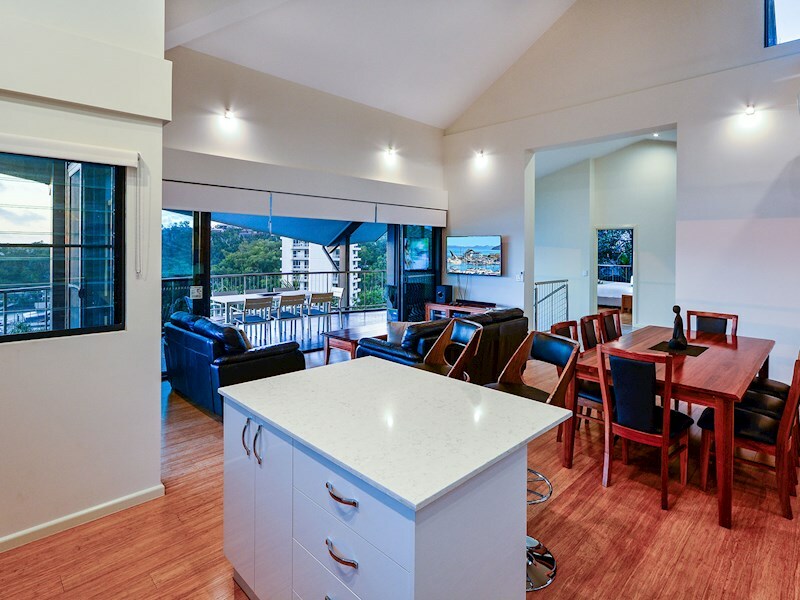 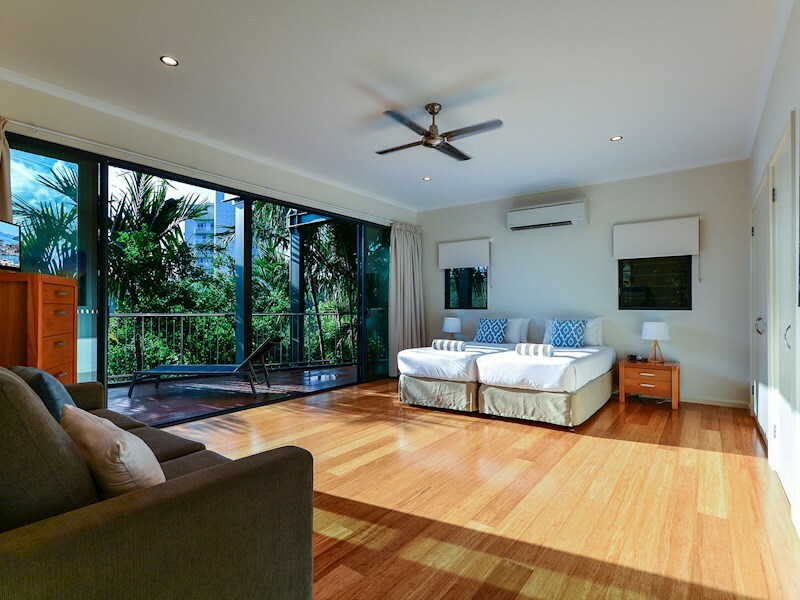 This home is just a short buggy ride to all the restaurants and cafes on Front Street, as well as to the Hamilton Island Marina. 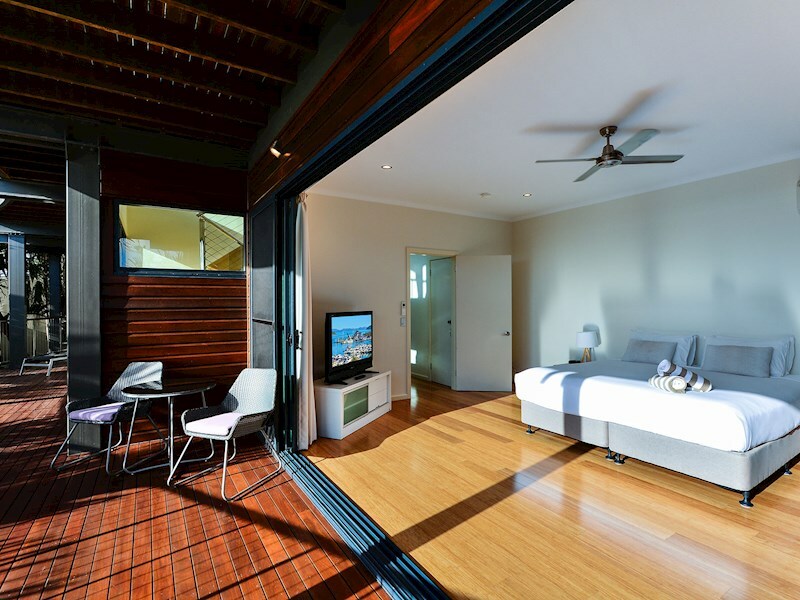 Both the second and third bedrooms have a queen sofa bed (ideal for children).